The most popular destination for student educational tours in 2017 remains Washington, DC. A presidential election year increases the interest in Washington. 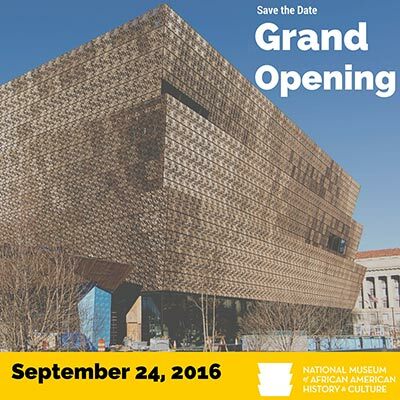 Add to that the new African American History Museum opening this year in the Smithsonian and interest from schools has never been higher. There is just no better place than the nation’s capitol when it comes to educational learning opportunities. From the White House to the Capitol, the city is packed with countless historical, cultural, civic and entertainment venues that fit into a wide variety of curriculum. Teachers looking to expand the learning experience beyond their classrooms can look to Washington, DC in 2017 for fun and affordable opportunities. There are many more options and even unusual sites like the seeing one of the world’s most amazing cherry blossom seasons in the spring. No matter the itinerary, opportunities abound for students to learn with an educational experience that will last a lifetime. 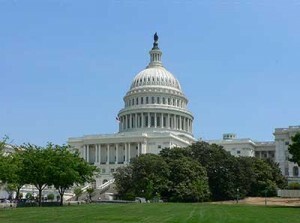 Trips to Washington, DC are also affordable for schools from Florida with an established company like Educational tours. Packages include transportation, lodging and meals at very reasonable rates. One big plus of Washington, DC – many of the attractions and sites are cater to student tours free making it even more affordable for class trips to visit. See the tour packages on our website for ideas on taking a class trip to Washington, DC. Then contact us to learn more or schedule a trip to Washington, DC for your class. If you are one of the thousands of teachers returning for the 2016-17 school year it’s time to think about expanding your curriculum beyond the classroom. Educational Tours of Florida is ready to help. Ed Tours works with schools across the state of Florida assisting teachers with educational learning excursions around the state and the nation. Our most popular destinations include St. Augustine, Tallahassee and Washington, DC. We also travel to many other excellent learning destinations throughout the Southeastern U.S. and across the country from New York City to San Francisco. Our school clients include teachers looking to extend their history, civics, science and social studies classes. We also work with many Safety Patrol groups and other school-related organizations. Ed Tours has a wide menu of class trips and the expertise to develop special tour destinations no matter what the subject matter or educational goal. Student tours for the 2016-17 school year are being organized now. There has never been a better time to take advantage of lower travel costs with some of the best values in decades. If you are thinking about taking your class on the road for a learning adventure contact us today for a free quote. We look forward to helping Florida teachers make the 2016-17 school year a great learning experience. Educational Tours can customize a trip for any class curriculum, discipline or special area of interest. From safety patrols to theater departments and civics classes to computer science clubs, there is an educational tour available. If your class or group has at least 25 paying participants there is almost no end to the destinations and itineraries that can be considered. Educational Tours specializes in customized class trips with the expertise to help from planning to organizing every aspect of a successful learning travel adventure. Review the many standard destinations offered for ideas and contact us to get more ideas. No matter what your educational goals for student travel, or where you want to go, Educational Tours can take you there. Now is the time for Florida classroom teachers to begin making plans for their educational student tours. The 2015/16 school year is just weeks away and Educational Tours of Florida has many exciting destinations and educational opportunities available. Trips to New York City and Washington D.C. are time tested destinations, but there is almost no end to the tours we can plan and the expertise that comes with an Ed Tours class trip. Educational Tours specializes in working with Florida teachers. A team is assigned and dedicated to assist with every facet of the tour and customize it to fit the goals of each teacher. Ed Tours does it all from organizing the trip and making presentations at schools for parents and students, to being there for the trip and getting your class home with memories that will last a lifetime. The process is time tested, and our history and experience speaks for itself. 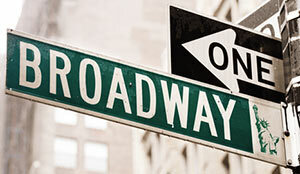 Follow this link to learn more about our process and how to organize a class tour with Ed Tours. Florida parents and sponsors, if your school, class, or club is not offering an educational trip, Ed Tours can assist in making your ideal educational tour a reality. Ed Tours encourages Florida parents and sponsors to take the lead in organizing educational adventures for their groups. Ed Tours makes the process of planning a student tour easy, and most importantly, fun! Follow this link to see how we can help you get your tour started. Educational Tours is a Florida based travel company lead by former teacher. We are here to help Florida teachers, club sponsors and their students enhance the educational experience with extended learning through class trips. Travel to one of the many excellent Florida destinations or about anywhere in the continental U.S. The Nation’s capitol is the definitive destination for class tours, and with good reason. Tour the Capitol, White House, several of the most important national monuments, Smithsonian Museums on the National Mall, and Arlington National Cemetery. A tour of Washington, DC can be customized to meet the needs of virtually any curriculum or club interest. The greatest city in the world is the perfect example of the American cultural melting pot. The city’s historic value is without question with storied architecture and world-class museums. The city is alive with sounds, sights, and food, every block has a history. 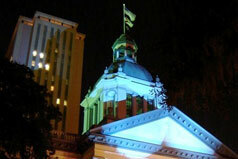 Home to Florida’s capital, a trip to Tallahassee is a great way to supplement a civics or Florida history curriculum. Tour the three branches of government, the Governor’s mansion plus the Museum of Florida History, historic Mission San Luis, Doak Campbell Stadium, the Gulf Specimen Marine Lab in Panacea, and an Eco-Boat cruise at Wakulla Springs. Take your class to St. Augustine, the nation`s oldest city, for an intensive one-day trip. 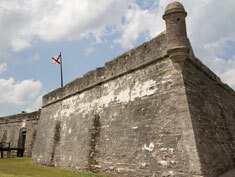 Experience Florida Spanish history, the famous Castillo de San Marcos Fort, St. Augustine Lighthouse and more. Walk the streets in Old Town and get a feel of life as it was in the 1800`s. A must for history classes. Orlando is know as one of the country’s funnest cities with countless theme parks and attractions to delight students. Orlando is host to middle school and high school graduate fun nights and Universal Studios and Islands of Adventure. Orlando is also home to the Kennedy Space Center, which makes and Orlando trip the perfect combination of amusements and educational attractions. Take your class on a trip to the largest city in the south. 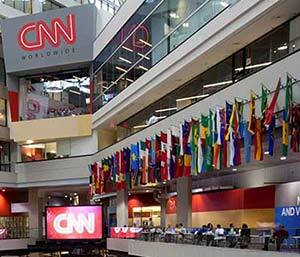 Atlanta is rich in history, culture and modern sites including tours of CNN. It`s the perfect destination for history, civics and other curricula. Tours could also include a trip Six Flags theme park to make a perfect expedition of Amusement and education. The home of Jazz, and one of the country’s most historic cities, New Orleans has a wealth of culture and it’s rich in southern history and many exciting attractions. Tour Laura: A Creole Plantation. Tour the National D-day Museum. Explore the Presbytere: The Louisiana State Museum. Tour Jackson Square. Tour the Aquarium of the America’s. Tour the French Quarter. New Orleans may just be one of the most unique cities in the country. Educational Tours specializes in trips to what is often referred to as one of the most unique cities in the world. San Francisco combines a wealth of history and cultural attractions in one of the most unusual topographical layouts of any city. See more destination and tour packages on the website. Then contact us to get started planning a 2015/16 season trip. Educational Tours of Florida knows the sunshine state better than anyone when it comes to schools sending their classes on student tours to St. Augustine, Orlando and all the popular cities and attractions. The company has been based in Florida since its inception with over 30 years organizing hundreds and hundreds of class trips to all the popular destinations around the state. Teachers and schools inside and outside the state can depend on Educational Tours to make a class trip in Florida a fun learning event and a hassle-free experience. The company has extensive relationships with all the attractions and knowledgeable guides in all the top destination cities including St. Augustine, Orlando, Tallahassee and Miami. The company can organize excursions from anywhere in the U.S. to Disney, Universal and other major attractions, to knowledge centers like Cape Kennedy Space Center or St. Petersburg’s Museum District, and historical rich sites like St. Augustine, the nation’s oldest city. Educational tours team makes all the arrangements for transportation, lodging, meals and excursions guiding teachers seamlessly through the process of developing, organizing and executing a student class tour to Florida. A secure website allows parents the convenience of online payments with flexible installment programs. Teachers can book their educational tour of Florida with the confidence that Educational Tours will manage all the details. Teachers continue to focus on the job of teaching while offering their students an exciting opportunity to visit, learn and enjoy on a class trip in Florida. No matter what the destination or itinerary, Educational Tour of Florida can make it happen. Preview some of the most popular Florida Tour Packages offered by Educational Tours on the website. Any of the trips listed can be combined into longer itineraries. The team can also develop a custom tour for schools from out-of-state looking to cover more of Florida. Contact a representative to learn more about how to schedule a tour and for a custom tour package quote. The team at Ed Tours is always in search of new student tour stop ideas in Washington, DC. The nation’s capitol is the number one destination for class trips with so many civic, historical and cultural things to see and do. We offer several popular DC Tour packages to all the most popular attractions. Our team can also customize any trip to meet the needs of teachers and interests of students. That includes finding the newest things around the region. 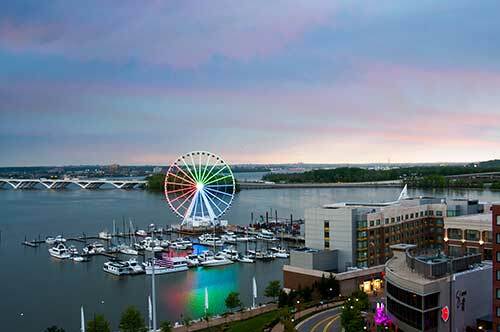 The new Capitol Wheel at National Harbor is truly a new turn on Washington, DC. This 180 foot Ferris Wheel towers over the harbor with 42 climate controlled gondolas. It’s a fun experience that offers spectacular views of the Capitol Building, White House, National Mall and more. Several of these large observation Ferris Wheels have been going up around the world recently with the Capitol Wheel opening a few months ago. Another of the most popular student tour destinations also has an observation wheel under construction. The Orlando Eye is scheduled to open spring of 2015. The Ferris Wheel was first introduced by it’s inventor George Ferris at the 1893 World’s Fair in Chicago (World’s Colombian Exhibition.) Since then there have been many of the common smaller “Ferris Wheels” at fairs and amusement parks. But the resurgence of these truly giant observation wheels is a recent phenomenon harkening back to Mr. Ferris’ original concept. Contact us to learn more about taking your class on a tour that includes the thrill of a giant observation wheel experience. Teachers and sponsors of class tours often offer students fundraising opportunities to help pay for their travel costs. There are a variety of ways to raise money in both group and individual activities from holding car washes to selling everything from baked goods to magazines. A Hinson Middle School eighth grader from Ormond Beach, Florida has set a school record in an impressive display of salesmanship that earned him a spot on his class trip to Washington, DC and a feature in the local newspaper. Teacher Joe Vetter has been working with Educational Tours for several years to take his eigth graders to Washington, DC. He partnered with a local Domino’s Pizza outlet that allows students to sell coupons that offer two-for-one pizzas for $10. Each student gets a book of 50 and can earn $350 if they sell all of them. That’s exactly what Derrick Harris did. Vetter says he has never had a student who worked quite so hard to raise money for the trip. The impressive feat of salesmanship earned Harris his ticket to DC and a front page story in the local Hometown News. He broke the school record for fundraising sales and surpassed his self-set goal of 40 in the three-week fundraising event with 51 sales! We have heard many great stories about fundraising activities from our teachers over the years. Joe Vetter’s pizza sales program is a great example of how teacher/sponsors can partner with local businesses in a win-win effort that allows students to raise money and learn about goal setting and achievement. Derrick Harris definitely stands out as a Super Salesman. A Washington, DC trip is all about helping students to experience how the American Dream was created and how our government sustains it. Harris’ exemplary effort also demonstrates how anything is possible in our nation with hard work and dedication. Hinson Middle School has been working with Educational Tours since the 2005/06 school year. They do tours to Tallahassee as well as Washington, DC. Have a great fundraising example or success story from your class trip? Share it below with a comment, or contact your ET rep with details and let us feature it in a story here on the Ed Tours Blog. 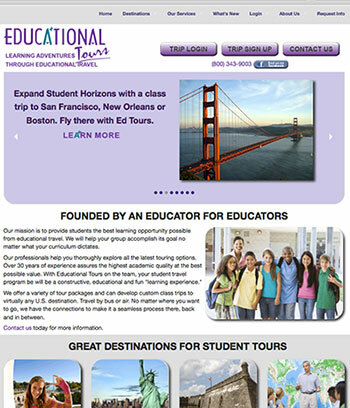 Watch for a brand new look coming to the Educational Tours Website today. We are excited about the new graphic style and design that adjusts for great viewing on desktops, pads or smart phones. But it’s more than just a pretty face. There are also several new tour destination packages rolling out to some of the most exciting cities for class tours in the continental U.S. Take your students on class trips from Florida to California and everywhere in between. Explore Kennedy Space Center for an overnight trip to sleep under a Space Shuttle. Tour the deep south and its rich historical cities like Atlanta. Discover new learning adventures in Boston, Philadelphia, Chicago and New Orleans. Fly your class to San Francisco and experience one of the world’s most amazing cities. The new website is really just the tip of the travel iceberg though. Look beyond the new destination packages with the Educational Tours team. The possibilities are endless and we are ready to take you and your class there and back for an educational adventure that will leave memories that last a lifetime for students. We look forward to welcoming you on board with an Educational Tour during the 2014-15 student travel season!